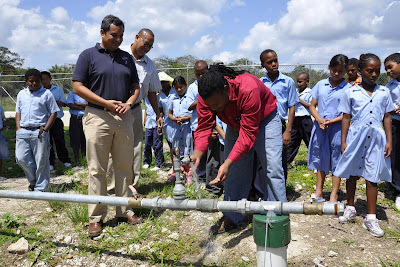 A new rudimentary water system was inaugurated today in the Belize River Valley area. The system will serve Santana, Corozalito and St. Ann villages; an important development for the people of Belize Rural North. Wednesday 23rd March 2011: Some 300 residents of Santana, Corozalito and St Ann’s, three of the oldest villages in the Belize District, now enjoy quality potable water supplied by a new water system, which will be officially inaugurated today in Santana Village. The system is part of the Government’s ongoing efforts to provide clean and safe drinking water to poor communities throughout the country. The Santana, Corozalito and St Ann’s Rudimentary Water System Project was implemented by the Social Investment Fund, a statutory body in the Ministry of Economic Development. 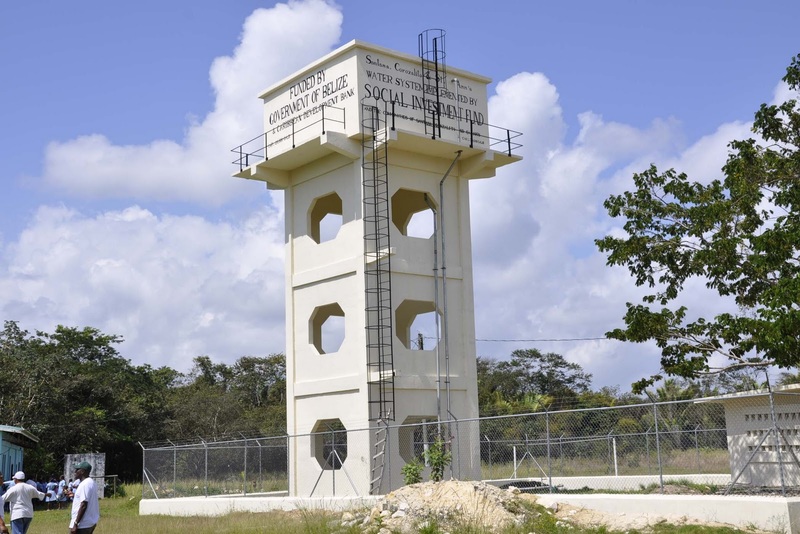 The project included the construction of a 20,000 gallon Ferro-Concrete Water Tank, a pump house with chlorinator and a network of pipes that currently supplies the villages of Corozalito, Santana and St. Ann’s with quality potable water. The total cost of the project is estimated at$926,000.00. Of this amount $741,000.00 was in the form of a grant from the Caribbean Development Bank while the Government contributed $185,000.00 in counterpart funding. The benefitting communities provided in kind labor for the project. Prior to the construction of the water system, villagers relied on hand pumps and hand dug wells for their water needs, but the water quality was poor in most of these communities and some wells even ran dry in the dry season. All of this hardship is now a thing of the past. Santana, Corozalito and St. Ann’s are communities established in the 1930’s along the Old Northern Highway. These were once thriving communities and considered the bread basket for northern Belize and a holiday spot for urban dwellers and foreigners for many years. However, with the construction of the new northern highway, transportation became a problem especially for farmers due to the dramatic decrease in traffic. 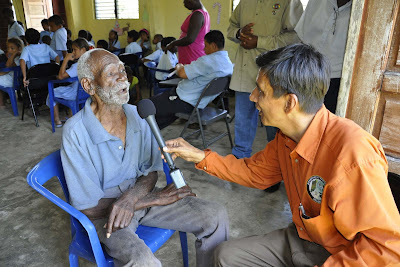 The lack of electricity, potable water and telephone service further contributed to the economic deterioration and their population declined after many Belizeans living in the area migrated to the United States and other areas of Belize. However, with the electrification of the old northern highway in 2002 many of these villages have started to rebound and tourism is picking up with the Altun Ha archaeological site being the major attraction. Speakers at the official inauguration ceremony will include Hon. Edmond Castro, Belize Rural North Area Representative, officials of the Ministry of Rural Development, the Social Investment Fund and representatives of the respective village councils of Santana, Corozalito and St Ann’s. I spent a great part of my life travelling up and down to Maskall and beyond, from 1949 to 1989 to be exact, for the first four years to my father's sawmill and thereafter to my Farm at Rancho Creek.We made lasting friendships with the people who lived along the "old Northern Highway" and share with the many wonderful people the joy they now have of having safe clean water piped into their yards.It has taken over sixty years but is now a reality. Hip, hip, Hooray!!! Goodbye to old 50 gallon oil drums lined up against the wall of the houses for catchment. Linda, thanks for sharing with so many of us. This is a well deserved project for the people in Rural Belize.